Camping A CASAIOLA is situated 15 km north of Bastia at the foot of one of the most beautiful valleys in Cap Corse. 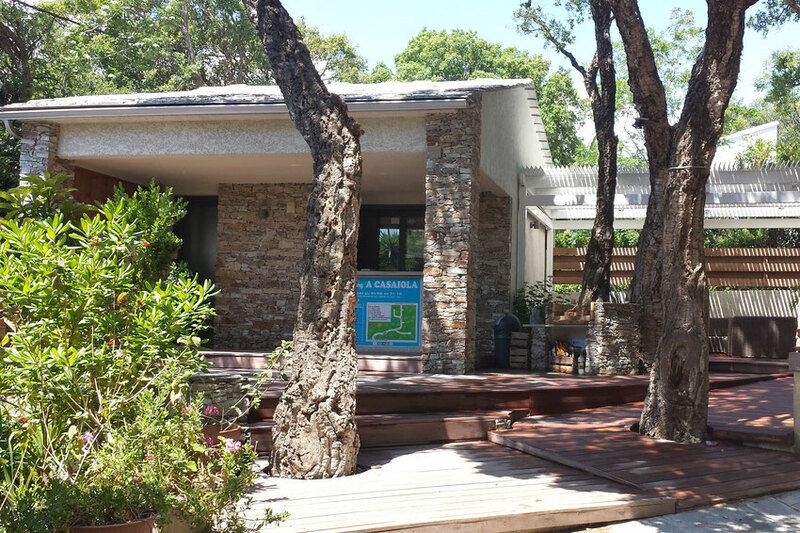 Set amongst a forest of cork oak and olive trees, our camping ground offers shade and tranquility throughout your stay. We look forward to welcoming you from May till October in our little piece of paradise. If you wish to avoid the crowds and you are not restricted by work or family schedules, the best time to visit us would be before or after the high season (July/August). Then you can really lay back and enjoy the long hot days of summer in the Mediterranean. The beach, as well as retaurants and shops are all a walking distance away from the camping ground and once a week throughout July and August there is a local produce market. In the vicinity you can enjoy other outdoor activities such as : scuba diving, horse riding, rock climbing, tramping, or, if all that sounds too exhausting than why not just lie on the beach and enjoy the views of Elba and Capraia, two Italian islands just opposite Sisco. We hope you have a wonderful stay at Camping A CASAIOLA ! !